Buying plastic molds or customized plastic parts from China for the first time is really daunting. Well, it turns out that buying plastic molds or quality molded parts with good price may not be as hard as you’d have thought. All you have do is to follow the next steps. In this article, I’m going to show you exactly how to make this job done. To tell you a fact that people can not ignore when you are busy every day to study how to buy plastic molds or plastic part from China. China plastic mold companies are also racking their brains to check how to find you, even more thorough! The following is a foreign buyer’s exclusive procurement research experience with Chinese plastic mold and injection molding suppliers. I hope this will give you some tips. After knowing what the mold suppliers are thinking about, even if they are difficult to deal with, it is transparent before you. When he has any doubts, you can handle it with ease, and the business will come to you! How to find Chinese plastic mold suppliers? Presumably, everyone is thinking about how to find an excellent Chinese supplier. To find the right one, do we need to visit the mold show? Must I visit China in person? In addition to the Internet, are there other better ways to find good suppliers? The answer is as follows. The most important reason why buyers from all countries go to China to find their plastic mold and customized molded part suppliers is that prices are competitive. In fact, for this reason, a large number of foreign companies flock to China. 1. Stop selling plastic molds that have suffered from low prices. This is definitely not a good idea unless you have a lot of other stocks or you just want to go for a long holiday! 2. Try to search for more competitive plastic mold manufacturers in your country. 3. Import directly from low-cost countries. If we think this method is the most appropriate, there are many things waiting for us. For example: which country to purchase? How to find a company that understands the way we do business? But you will find that after sourcing around the world, you will still choose China molds. The next question is how to find Chinese plastic mold suppliers? How to choose? How to communicate with them? You may decide to start with a few inquiries about the plastic molds and plastic parts you are interested in and try to buy a small batch to test. If so, you may have to spend thousands of dollars on the sample just to make no wrong decisions. In fact, many excellent Chinese plastic mold manufacturers do not appear on the B2B website. These excellent manufacturers are compelling in manufacturing, but unfortunately, they do not know how to promote their products effectively. Therefore, you can go to some large professional plastic mold exhibitions(K show, Chinaplas…) to find suppliers, communicate with their exhibitors on the spot, establish initial cooperation intentions, and maintain good relationships. However, it should be noted that if you cannot speak Chinese and don’t accompanied by a translator, then it’s basically no use going to the show. You need to understand how to dealing with Chinese people. Obviously, employing interpreters and other escorts requires overhead. If you don’t have money and don’t plan to spend money on it, you have to find a way to get the contact information of the plastic mold vendors you are interested in. You can ask the organizer for help. You can also inquire about the information of Chinese plastic mold suppliers from people around you, the more the better, and if necessary, you can also seek the help of professional procurement agencies. Ask for the information of the exhibitors from the best exhibitions. After get some plastic mold suppliers information, you can try email communication. If you don’t have the time to visit Chinese plastic mold manufacturers in person, you should ask someone to help to review and investigate the status of the mold manufacturers to ensure that everything is safe. How to work with Chinese plastic mold manufacturers? People who deal with Chinese plastic mold manufacturers will know that doing business in China is also a cultural experience. For Chinese manufacturers, you are no longer just customers, but also their friends. When you talk to them about business, what needs special attention? How to better work with them? Are you familiar with the style of Chinese businessmen? Do you know the best way to cooperate with them? What needs particular attention when signing a contract? First of all, There is a saying in China: Make friends first and then do business, so it involves gifts, receptions, dinners and another etiquette. If want to maintain a good long-term relationship with these Chinese manufacturers, you must be familiar with the way and style of Chinese people doing business. Second, when talking about plastic mold business with Chinese manufacturers, you need to keep in mind the concerns. You will find that they have entirely different ways of doing things with you. At this time, you only need to pay attention to the results. Do not force the Chinese plastic mold manufacturers to accept your solution, sometimes, the experience of some Chinese mold suppliers is far better than the textbook dogma as to mold building, as long as the results achieved satisfy you. You will find that Chinese suppliers naturally have his reasons for doing this. And in China, you often hear that Chinese plastic mold manufacturers say to you that “we want to establish a good relationship with you.” Especially in most e-mails, this phrase is actually what Chinese manufacturers want you to feel ease while maintaining a long-term relationship. They continue to repeat this sentence, in the hope that you can understand and accept the product itself or delay the delivery date. This approach is totally different from Western business practices. In the West, you complete what you should do. I complete my business, and Each is responsible for himself. The boundary between public and private is completely unclear here. This means that signing a contract is just a sign of course. The friendship with the Chinese companies is the most effective guarantee for the completion of business. Sometimes Chinese plastic mold manufacturers encounter unexpected difficulties, so you need to be prepared. Some people do not believe that this situation will be encountered, but the fact is that unexpected situations will occur. In China, you need to play your own role. Don’t make the relationship between your company and the Chinese mold supplier unbalanced. Private friendship must be made well. There is no legal provision to define this relationship. To understand the influence of Chinese culture, you must put yourself in. What kind of role should you play? Simply speaking, VIP. You are invited and a buyer. Having money in hands means that you have the right to accept and reject. If understand Chinese more, you are more welcome. Please pay attention to the details. Many people may not have human resources to track the procurement process. At this time, third parties need to step in to solve the problem for you. What needs to be ensured is the plastic mold building process, not just the circulation, so that you can save more time and money. Fax, mail, and the phone call can really help you get information, but it is best to get plastic mold pictures and samples they made before or on-site visits. Chinese plastic mold manufacturers will often say that “this kind of thing will never happen” or “a situation like this is rare.” If not satisfied with this answer, you can terminate the payment. You need to constantly ask for feedback from mold vendors and clarify the requirements so that vendors can better grasp the actual expectations and strive to meet your expectations. From the initial stage of mold building, high standards are implemented. About the contract, you may have learned some terrible cases of failure. If having problems with a Chinese partner, you can, of course, solve the problem through the court, but this is actually not at all useful. Many Chinese mold manufacturers may not care much about the legal value of the contract. Chinese companies still value private relations rather than rules and regulations. Business is a private sector, and contracts are often seen as signs rather than obligations. However, from a legal perspective, your approach to Chinese manufacturers should be the same as the way you treat Western companies. Finally, remember to take your own principles, but on secondary issues, you need to be flexible. By knowing how to make it work and with some good luck, you will be commercially successful in China. When you decide to purchase plastic molds or plastic parts from China, the most important thing is to ensure the quality. Do we need to set up our own quality control agency? Must I visit Chinese manufacturers personally? Payment terms and product cost have a relationship? 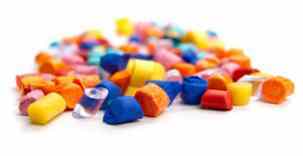 You can establish a quality control team, which indicates that your company is capable of monitoring the quality of incoming and outgoing items, and can solve all plastic molds quality related issues. This practice can effectively ensure the quality of the plastic molds purchased, so that your customers no longer complain about the plastic mold quality if you are a broker, and avoid the additional costs of product quality problems. Therefore, to some extent, the establishment of the company’s quality control organization is an investment in the company’s future development in China. When looking at a Chinese plastic mold supplier, you should conduct the visit. Some experts may think that it is not necessary to personally go through the process. Just check a few samples. Indeed, some large Chinese plastic mold manufacturers have a good internal quality control system to ensure product quality standards. Working with these big tooling suppliers, it will not encounter too much trouble. However, they cannot give you the most competitive quote because internal quality control is costly. In addition, the mold vendor you work with may already have sales net in your country. So, in fact, cooperation with Chinese SMEs will be better. These plastic mold companies need your clear instructions and report on your conditions and expectations. You cannot expect to circumvent face-to-face interactions to explain your specific needs and expectations. When you officially visit these SMEs, you will find that their factories are smaller than you expected, and their production capacity is not as expected. Sometimes, they are unwilling to lose their orders, they will subcontract to other vendors. 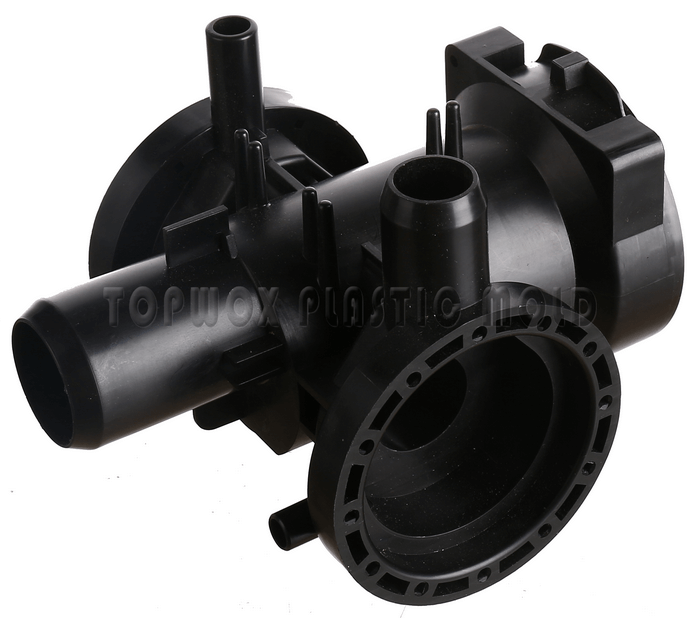 For plastic mold or plastic parts quality problems, you should find a form of compromise. To avoid causing huge losses due to plastic mold quality, you should initially choose to accept plastic mold vendors with higher quotations. When negotiating with Chinese manufacturers, you need to pay attention to the fact that Chinese manufacturers’ labor costs, administrative expenses, and general operating expenses, they will not change in the short term. Therefore, it is only necessary to focus on the profits of manufacturers. Of course, manufacturers will not do lose money business. The Chinese are basically negotiating experts who know how to persuade to accept their offer. After several rounds of negotiation, when you find that if they are determined not to accept your quotation, mold vendors think they may lose money, then you should not be too tough. Otherwise, the problem will appear in other forms, then change suppliers is a good choice. China has attracted plastic mold buyers from all over the world, but it is difficult to select a good mold supplier and monitor its production process in China. Factory audits, quality control, and production monitoring are the most important factors to consider when producing plastic molds in China. Now everyone is talking about China and talking about its charm and attractiveness. So everyone goes to China to buy products: Chinese manufacturers know this too. In fact, it is straightforward for us to find many Chinese suppliers on the Internet, such as Alibaba and made-in-china, but it is not an easy task to find good ones that fully comply with the terms we require. In the online world, the plastic mold manufacturers we have seen are all perfect, but in reality, it may not be the case. Therefore, it is necessary to make a site visit. The ultimate goal is to ensure the reliability of suppliers. For a foreigner who does not know much about the Chinese plastic mold market, purchasing plastic molds and injection molding in China and receiving the perfect quality goods within the expected delivery period is basically an impossible task. There are a lot of people who fall into this trap. The bigger your order is, the more you have to pay attention to risk control. A review of a Chinese plastic mold manufacturer will enable us to understand its qualifications, production capacity, scale, and its ability to respond quickly. Before the mold delivery, the direct quality control for the manufacturer is the most important part. In China, even if you have someone monitoring plastic mold building at the factory, their products are unable to meet the needs of Western companies sometimes. It is for this reason that we have repeatedly stressed the need for quality control. The Chinese people have a mantra called “Cha Bu Duo” (approximately). From here we can see the Chinese people’s thinking mode and attitude toward product quality. After the delivery of the plastic molds, it was discovered that the goods were defective in quality. It would be complicated to return them and would take time and money. Therefore, it is necessary to include quality clauses in the contract to reduce the quantitative and qualitative risks of procurement. The review of plastic mold and plastic molding parts mainly needs to consider the following points. These audits can reduce production defects, delivery delays and product problems that plague importers. So how much can be saved to purchase plastic molds from China? In general, good purchasing can save 30%-40%. But it takes three necessary conditions: a good partner, pre-audit, and quality control. Producing and assembling products in China can bring great competitive advantages to Western companies and open the door to the Chinese market and the Asian market.